According to data from monitoring resource Coin Dance, despite continued volatility in the country?s dubious redenominated currency the Sovereign Bolivar, trade volumes for the seven days ending November 3 still beat all previous highs. The causes behind the latest spike appear to be multiple. As Bitcoinist reported, a combination of inflation, capital controls, foreign currency shortages and more continue to blight Venezuelans? ability to maintain control over their financial sovereignty with fiat. At the same time, the government is fixed on forcing citizens to interact with its newly-revitalized national cryptocurrency Petro, despite the latter?s highly-suspect stability. Instigating mandatory Petro payments has also appeared to have formed a method for forcing up prices, passport application fees exploding in VES terms when Caracas began only accepting Petro last month. This week, international pressure also stepped up, with the US announcing sanctions on Venezuela?s gold exports. Executives had previously claimed Venezuela now constitutes Dash?s second-biggest market, while separate controversy focuses on allegations Petro plagiarized vast swathes of the asset?s whitepaper. Dash itself has also failed to escape criticism, one commentator branding the company?s claims of market penetration as ?snake oil? last month. 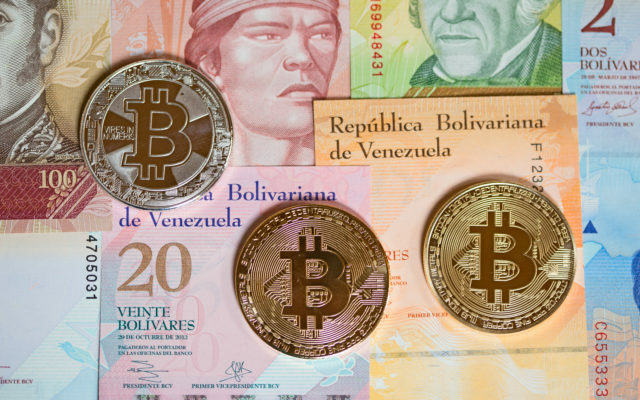 What do you think about Venezuela’s cryptocurrency trading" Let us know in the comments below!